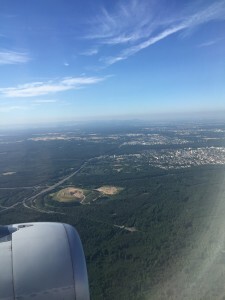 Home | NOTICIAS | Business travel to Germany (Frankfurt) to oversee Host Families and Partners. On the right ADAYSS General Manager Ms. Yolanda Castaño Del Estal, moves to Frankfurt (Germany) to visit the German Host Families and supervise Partners Agencies. The trip has been a success! !